- Acid Washed Jeans are Cool!" 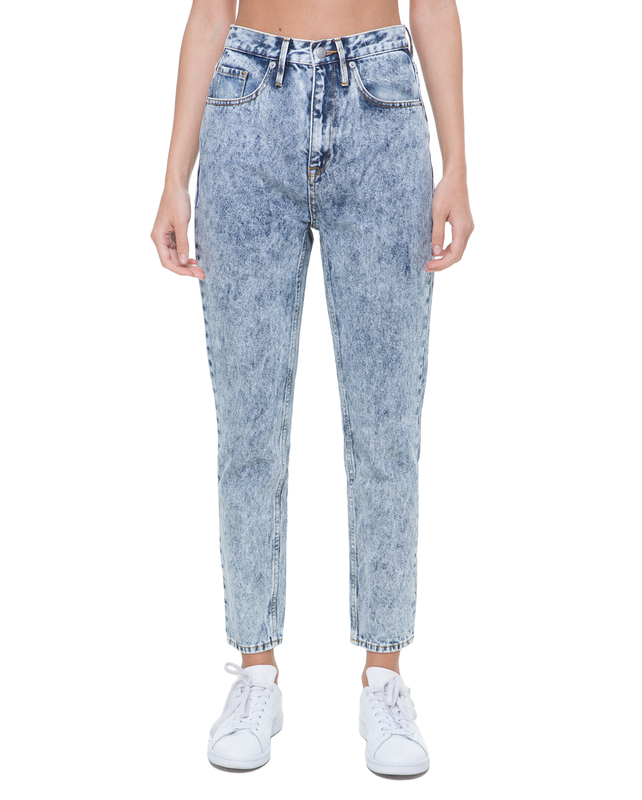 Acid wash jeans are back and they're fiercer than ever! They're one of the hottest "it" womens denim jeans from the late 80's, and if you have an Urban or Trendy clothing personality and are looking to update your closet with the latest fashion trends then be sure to add a pair to your shopping list! Acid have been used to strip off the top layer of the denim dye, exposing the white fabric beneath it. It's a funky effect! It all depends on what type of look you are aiming for and if you want to accentuate your curves. 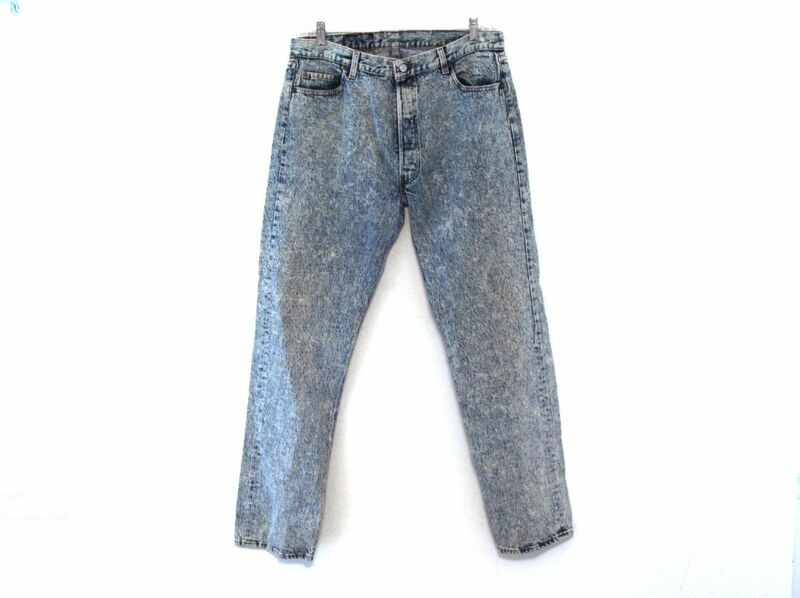 If you're self-conscious about your thighs and legs, acid wash jeans might not be suitable for you because the white spots will highlight them even more. However, you can look for the more subtle styles which have a more stone-washed "broken-in-feel" to it. You'll still be able to add a little bit of edge to your look without looking too trendy and without highlighting your curves. If you're more into the urban, trendy, eclectic look, then the super-distressed and heavily acid'ded style is definitely your new best friend! Play with your outfit by mixing several styles in one. You can still wear bright colors and accessories with the acid washed jeans but make sure they're solid-colored so that they won't battle with the bottom. Want to wear these trendy distressed jeans but don't want to bring too much attention to your curves? Then balance it out with accessories such as a necklace, scarf or a pair of earrings. This helps with making your bottom look less heavy (especially if you're an pear body shape or have some extra weight around your hips and thighs). Just make sure that the added accessory isn't too loud. A styling trick that helps update the 80s feel of the jeans is to pair them with modern shoes. Ankle booties, gladiator shoes, moccasins and flat pumps are examples of shoe styles to add to this outfit combo. Just make sure that the toe and heel aren't too pointy or thin - because that'll only outdate the look. ! Hot Topic | $ | Lots of affordable trendy distressed washed jeans. Karmaloop | $$ | Designer LA Look acid jeans by John Eshaya. As seen on by Nicole Richie, Lindsay Lohan, Nicki Hilton.